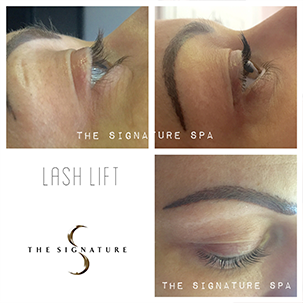 Whether you desire an eyebrow wax, a brow or eyelash shape and tint, or a full set of low maintenance, high glamour extensions, The Signature Spa has a constantly expanding range of carefully chosen UK market leading treatments and products. Our technical expertise and customer care is always first class and focuses purely on enhancing your face’s most sparkling assets. Lash Perfect semi permanent eyelashes enhance your natural lashes by adhering a synthetic individual eyelash to each natural eyelash. Light, comfortable, natural and available in various curls, lengths and thicknesses.